Hi there! Just a quick post tonight as I am completely knackered. Atti had me up last night and I was being a bit paranoid. Because he's a big, deep chested dog he is at risk for GDV (also known as bloat). Thankfully it was just a really upset tummy and he finally settled around 3am. I ended up sleeping in the living room with him so I could keep a close eye on him. Having seen dogs suffer with GDV at work (with both happy and sad outcomes) it's not something I want to mess around with. He's back to himself tonight and now I just want to have some dinner and crash! I managed to get a couple of cards done today despite my zombie-like state. 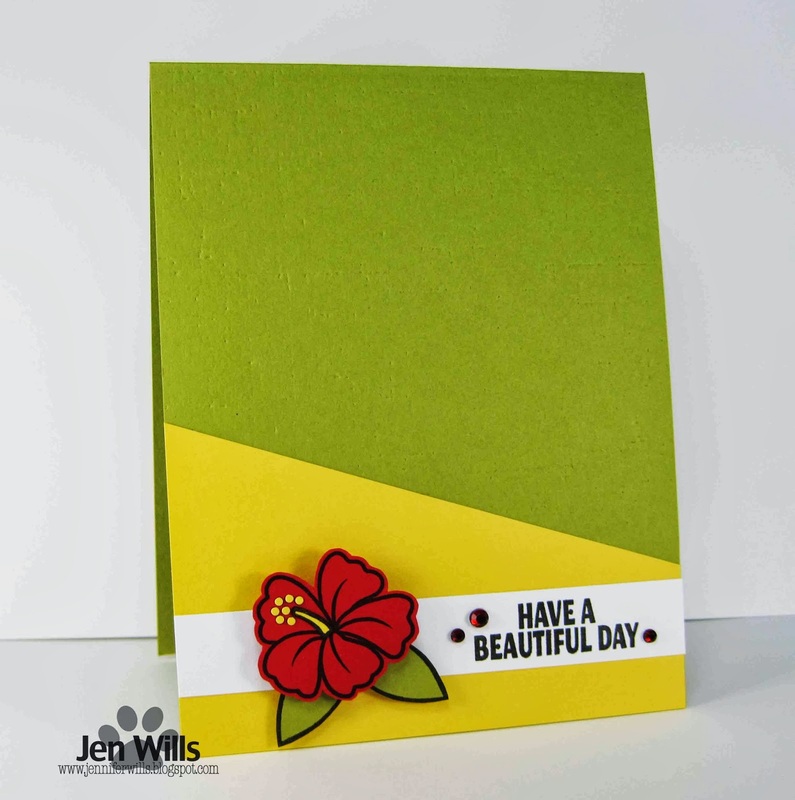 This one uses the current ColourQ colours and some Paper Smooches dies so I'm also entering it in the PS Sparks Anything Goes challenge. Hope you all have a lovely evening! I remember hearing this song last August and thinking, "Uh oh. This is going to be a hit!" Yup. 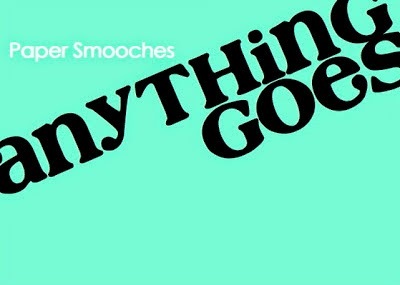 Totally annoyingly catchy. Once it's in your head it'll be there for a while and I'm sure I'll be singing it for the rest of the day. Still, I couldn't resist this set from Sweet Stamp Shop. How cute is his little face? Those innocent eyes. "Who me? I'd never sing an annoyingly catchy song!" 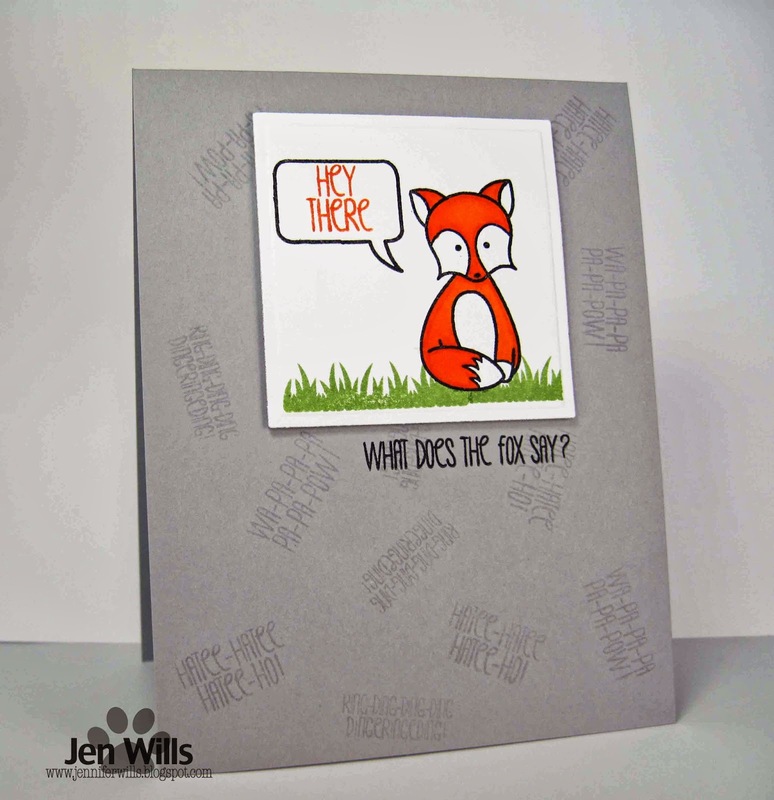 :) So while you're singing along to the fox song why not make a card for the challenge? I can't wait to see what you come up with! I dithered and dithered about this card and even made an entirely different one (inspired by my favourite Lucky Brand Jeans) but in the end I couldn't resist the call of Daft Punk and Pharell. So yes, I went there. I stamped everything in Strawberry Slush and went over it all with a clear Wink of Stella pen. It's fabulously sparkly in real life! There's quite a bit going on but by not coloring in the glasses and disco ball it keeps the design from getting overwhelmed and lets all that white space shine through. And now it's over to you. 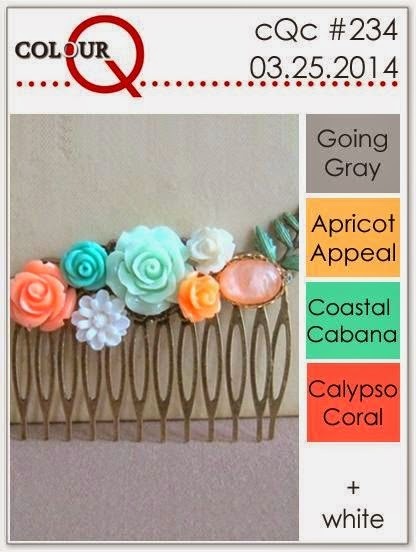 Check out the gorgeousness created by the fabulous DT ladies and then play along! The deadline for entries is Monday at noon (CST). Hi there! It's a wild and windy day outside today - not a very good day for umbrellas! 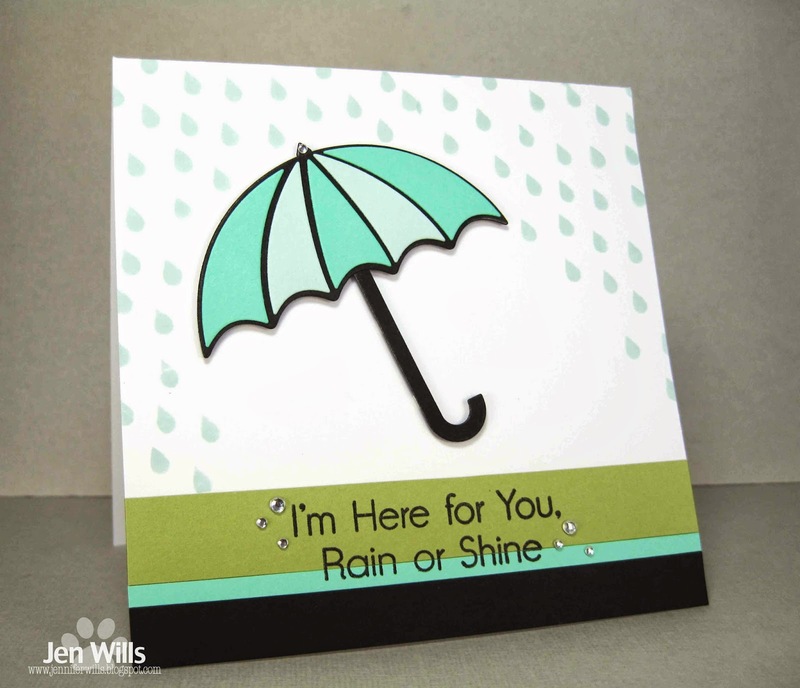 However, I wanted to play along with Time Out's Dancing in the Rain challenge using this umbrella die. 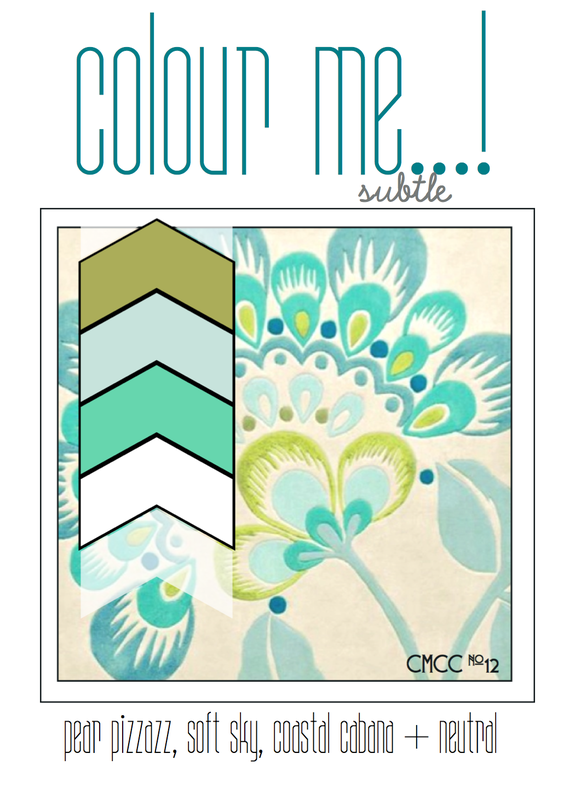 I thought the soft colours from the Colour Me…! challenge would be the perfect compliment for it. Hope your week is off to a good start! Hello all! 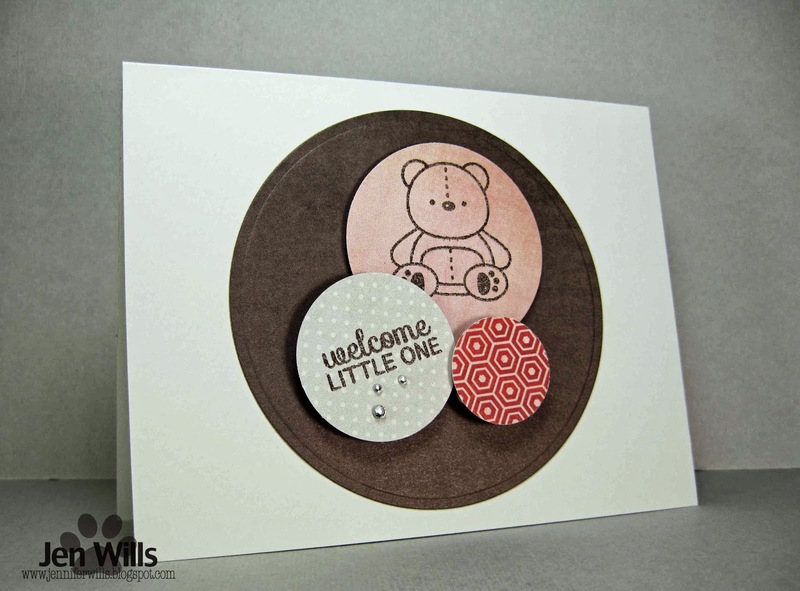 I had a bit of time to play around in the Craft Cave today and wanted to join in with this week's Muse challenge. 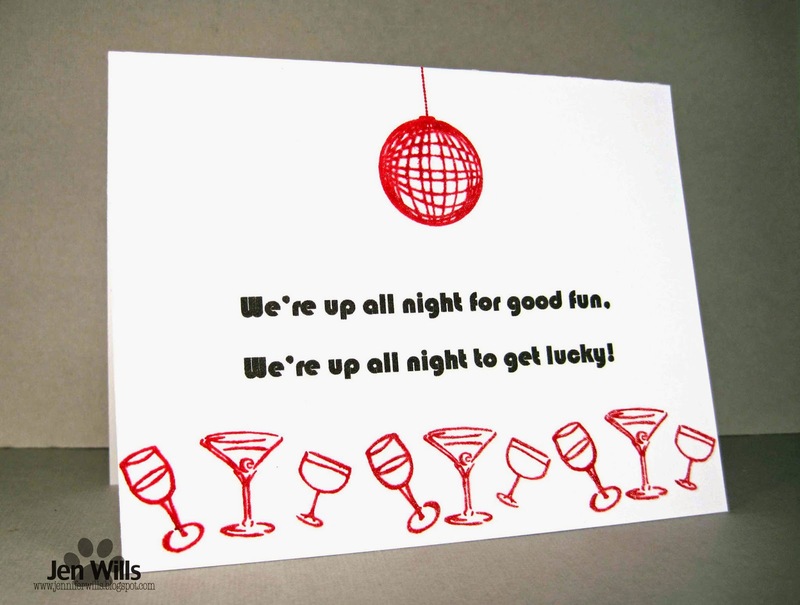 How gorgeous and fun and cheery is Marion's card? 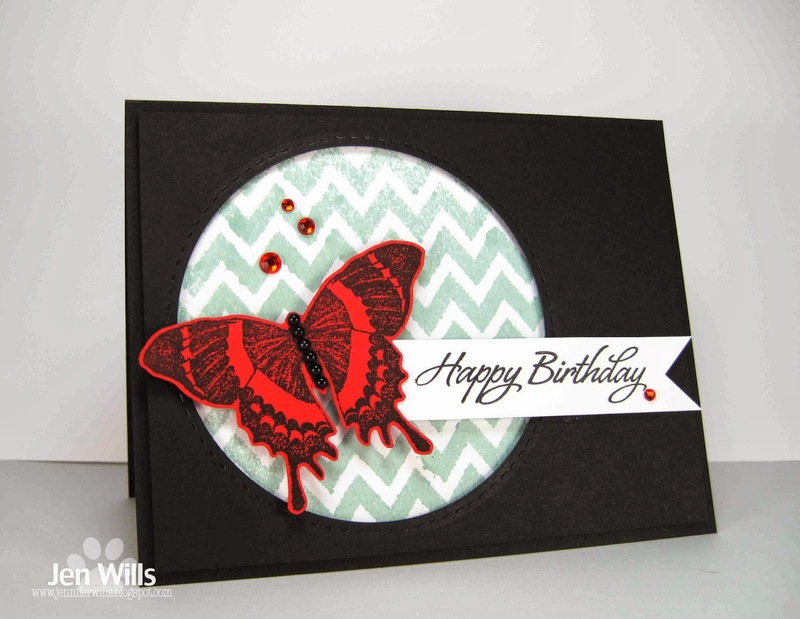 I was inspired by the colorful repeated die cuts and decided to frame mine with the negative of this butterfly die cut. I went very literal with this week's sketch and super simple using only die cuts. 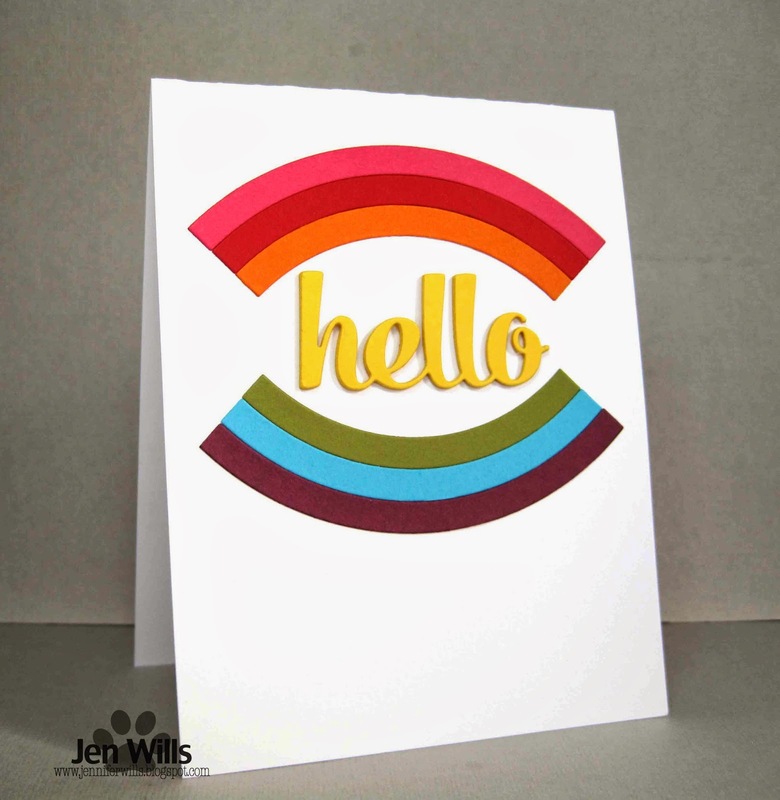 Who can resist a cheerful rainbow hello? 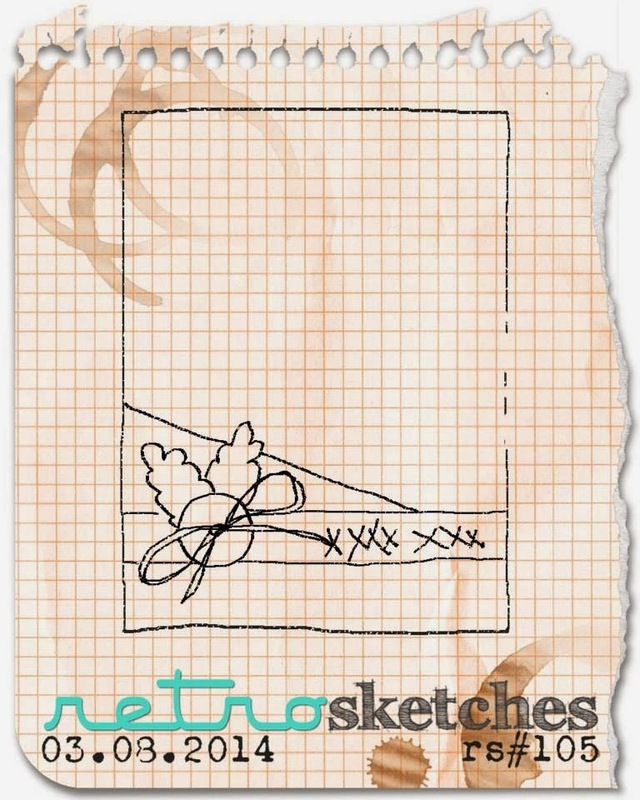 :) I can't wait to see where this sketch takes you guys so check out the design team cards and then get to work! 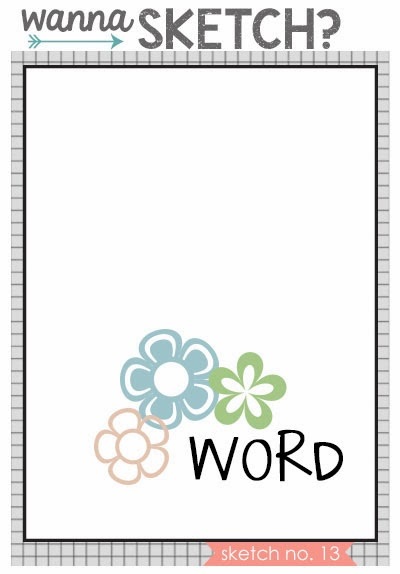 I decided to tackle this week's cue word from two different angles. 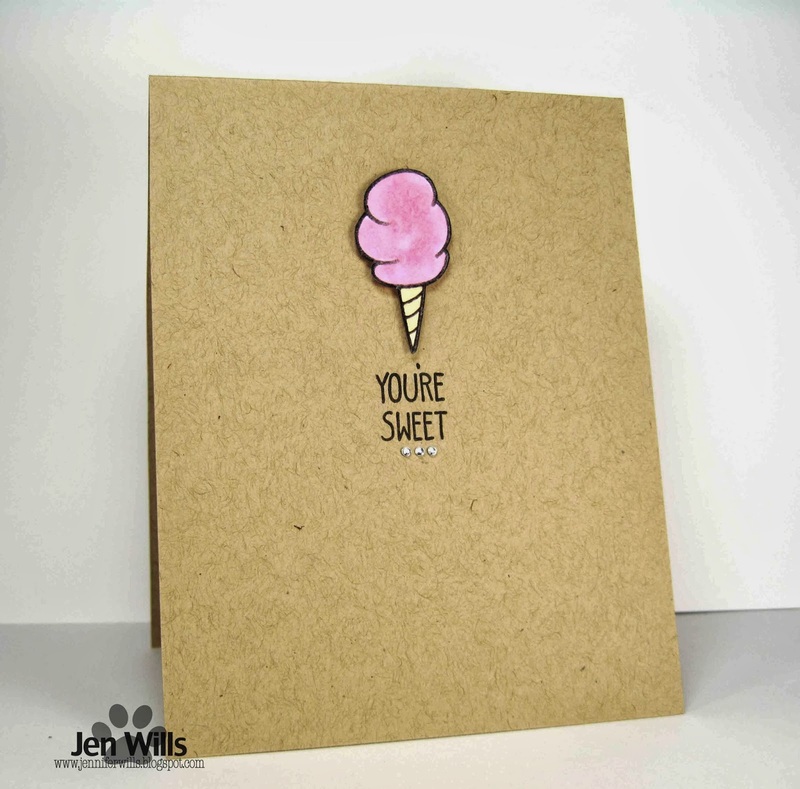 I used a blush (or pink) as the dominant colour on my design and I chose an image that can make some people blush! LOL! 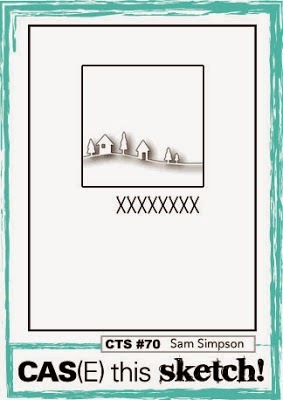 I went for a very classic CAS design that uses the rule of thirds - the main image is in the centre of the top third of the card. I know for some this may seem boring but CAS design does not involve piling on the glitz and filling every available space. In order to jazz things up a little bit I colored the heart in the sentiment which also ties it to the image and then I added some tiny bling to the bra for a little sparkle. 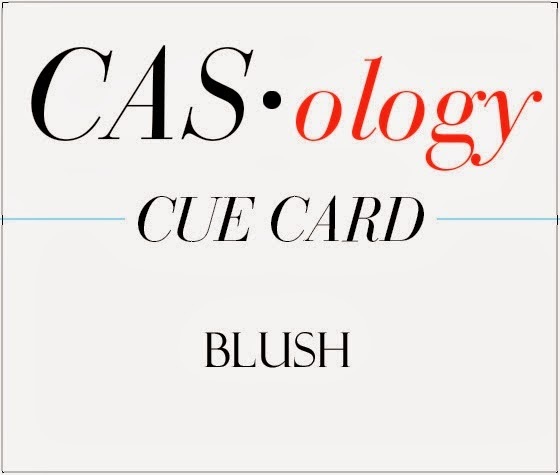 Now it's your turn to make us blush! 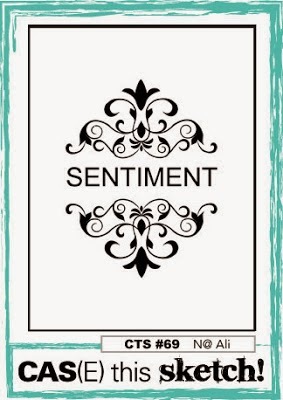 Be sure to check out the rest of the gorgeous designs from the DT and take a moment to look at what makes them CAS. In order to give participants more time to play along we are extending the deadline for entries to Mondays at noon (Central Time). Due to this extension we will be announcing our winners and honorable mentions on Tuesdays at 7:00am (Central Time), one hour before a new challenge begins. Challenges will begin at the same time as usual, 8:00am (Central Time) on Tuesdays. 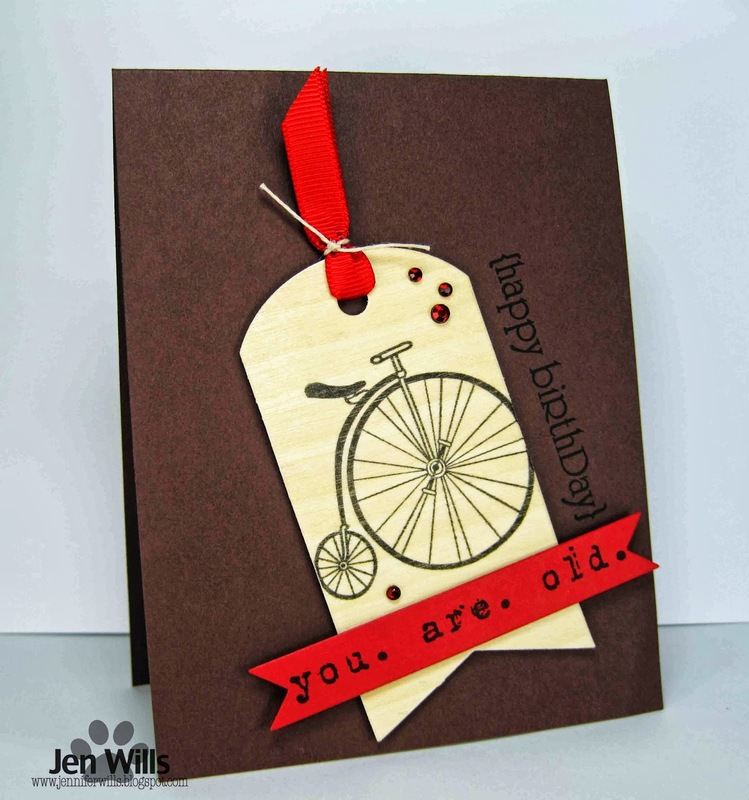 This sketch gave me a bit of trouble until I did some serious digging around and found this rosette ribbon stamp by Jenni Bowlin. Once I had that the rest of the card came together pretty quickly. 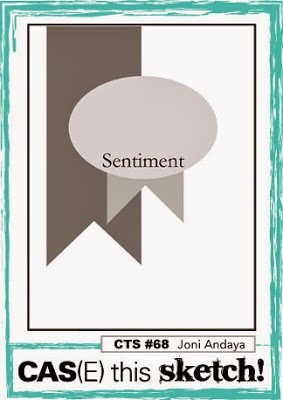 These rosette ribbons take me back to my summer camp days and competing in horse shows. I was certainly not the most accomplished equestrian but I managed to snag a few of these in my time! Your turn to play along now. Check out the rest of the designs by the design team and get to work! Hi there! 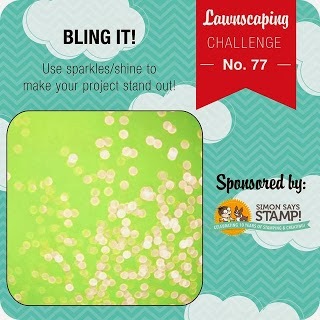 Popping in quickly this morning with a card for the Lawnscaping Bling It challenge using the sketch from Lisa Arana's Wanna Sketch?. 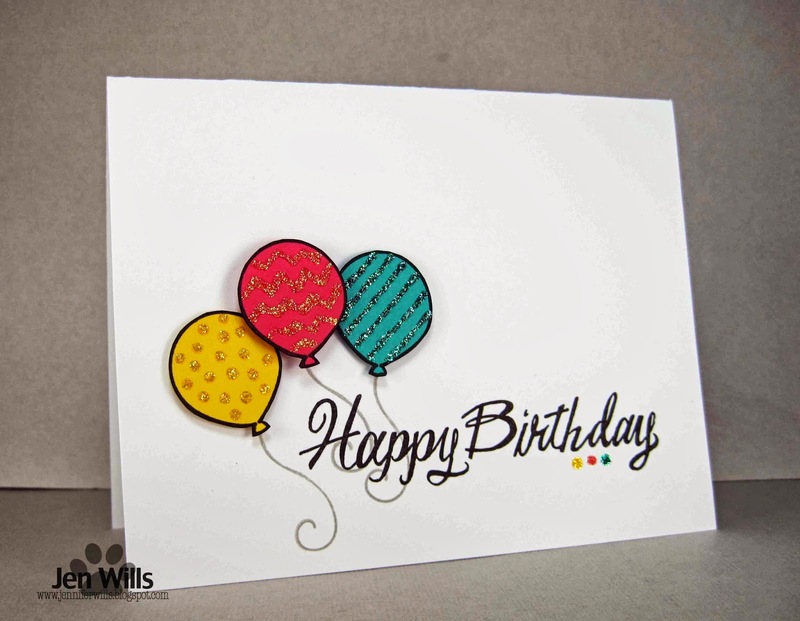 Grand Greetings has become my favourite Lawn Fawn sentiment set and whenever I need a balloon image the balloon from Admit One is the first one I reach for. Here I decorated them with some Stickles and added the sweet little curly strings in a light grey. 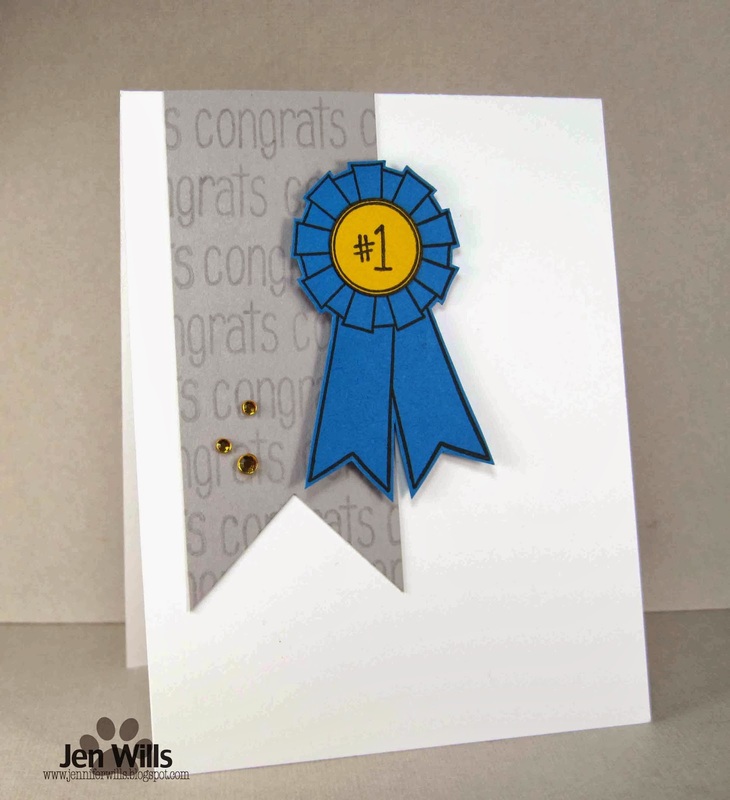 A quick and simple birthday card! Hope you all have a lovely day! 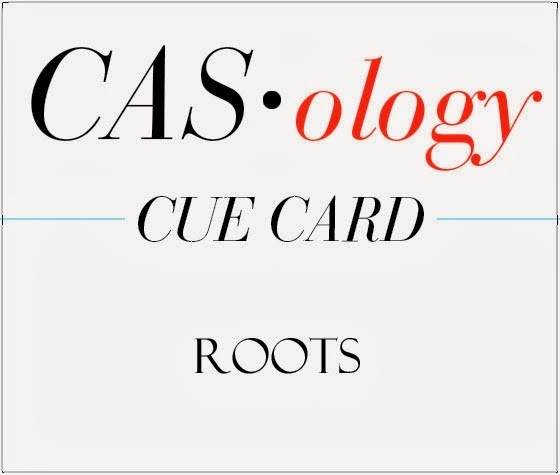 This week's cue word was the source of some good conversation amongst the design team and wait until you see all the different directions we went in! This is why I love this challenge - you never quite know where it will take you. 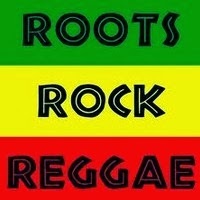 For me, I got the phrase "Roots Rock Reggae" stuck in my head which then lead me to Bob Marley's "One Love." I was inspired by a couple of images I found on Google. I like the font on the first image and the distressed look of the second. Go visit the rest of the design team and then get cracking' on an entry. I can't wait to see what you come up with! 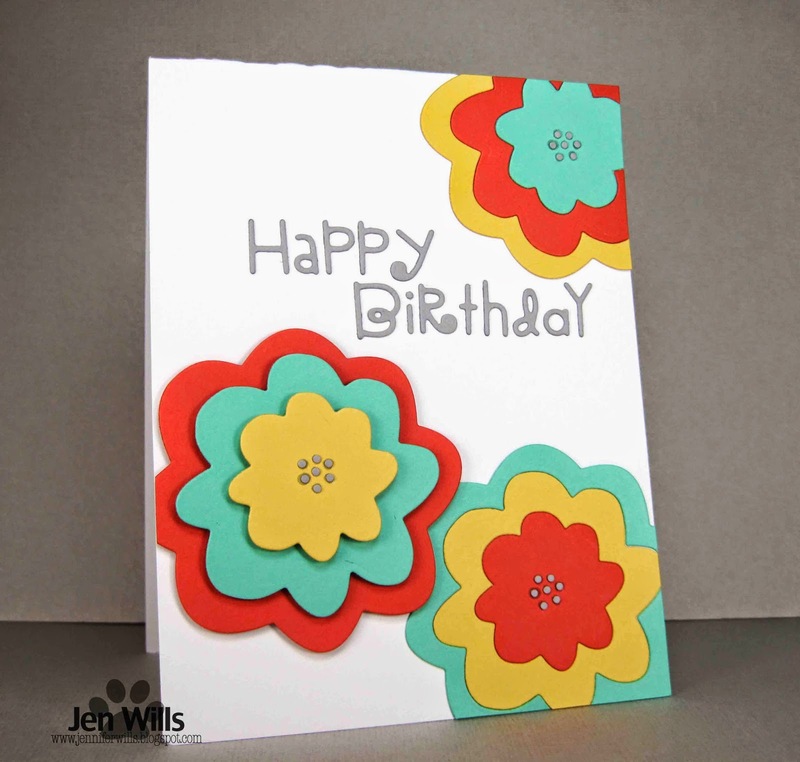 This card combines the colours from the Colour Throwdown and the sketch from RetroSketches. 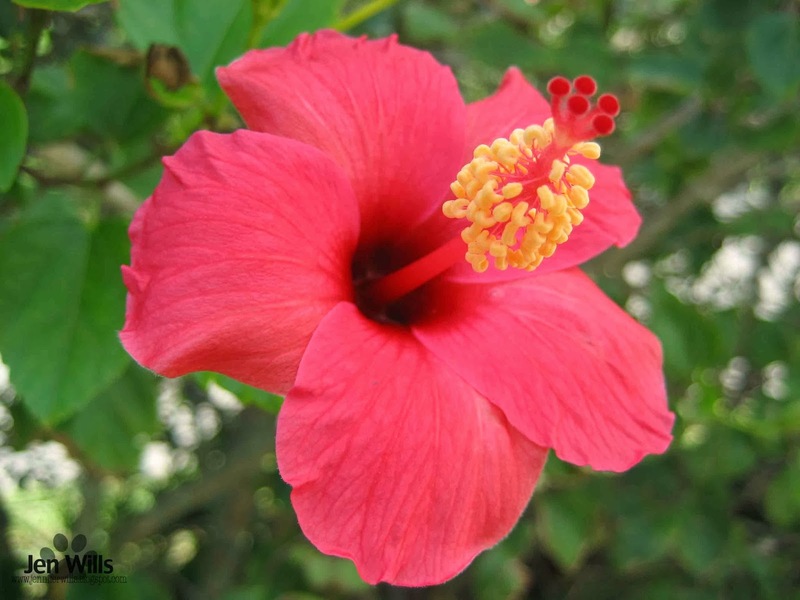 There are hibiscus hedges all around our property and although they come in many different colours there's just something special about the classic red ones. Popping in with some entries for the Addicted To CAS Baby Challenge. 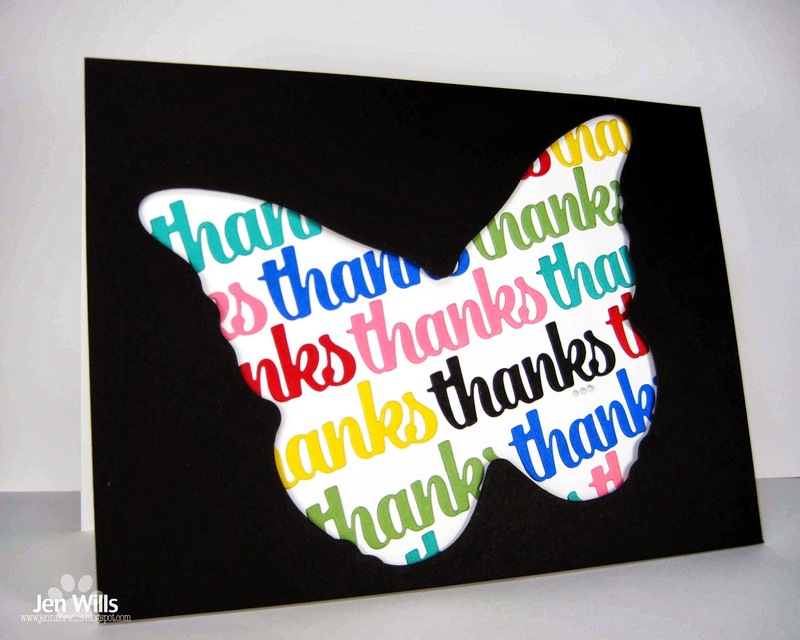 I actually CASED an old thank you card of mine for these two cards. 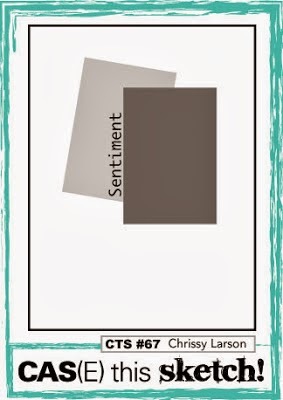 I used the same layout and even some of the same papers and just changed the image and sentiment. It's a good trick to use when you're really stuck for ideas or time! 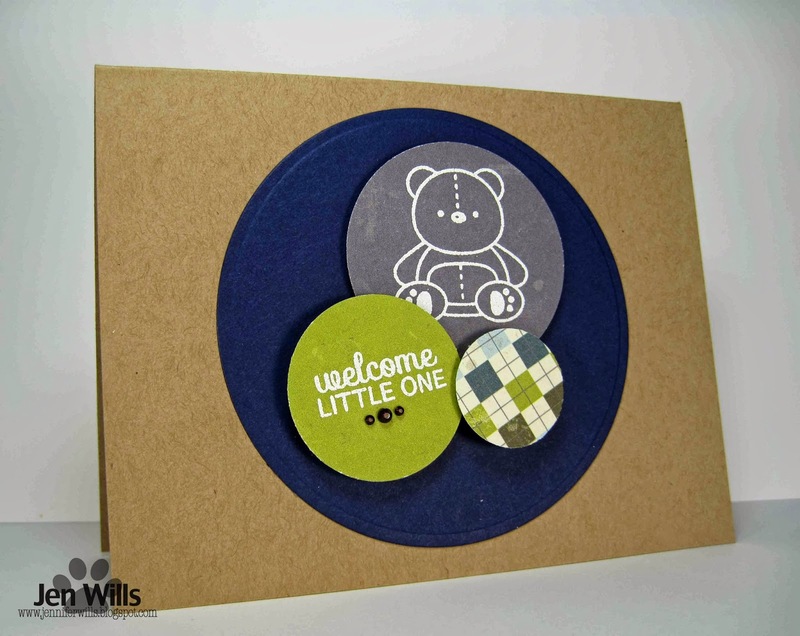 The stamps are from Nursery Deco by Mama Elephant and the papers are Authentique. Atti and I are headed off for a walk to the beach. It's sunny and gorgeous today! 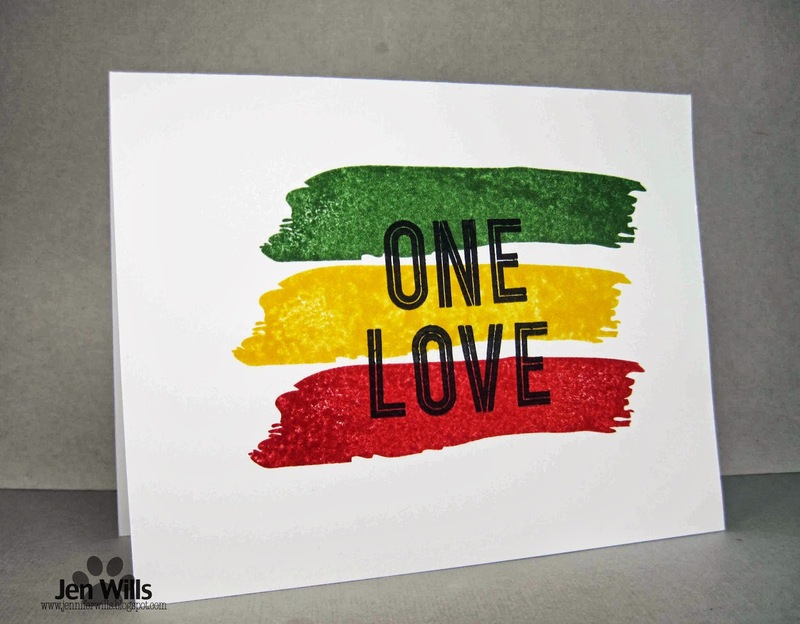 Sending warm vibes out to you all! Sunday already. 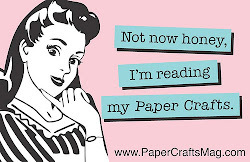 *Sigh* And in the blink of an eye it will be Sunday again! The days are just coming around way too fast. 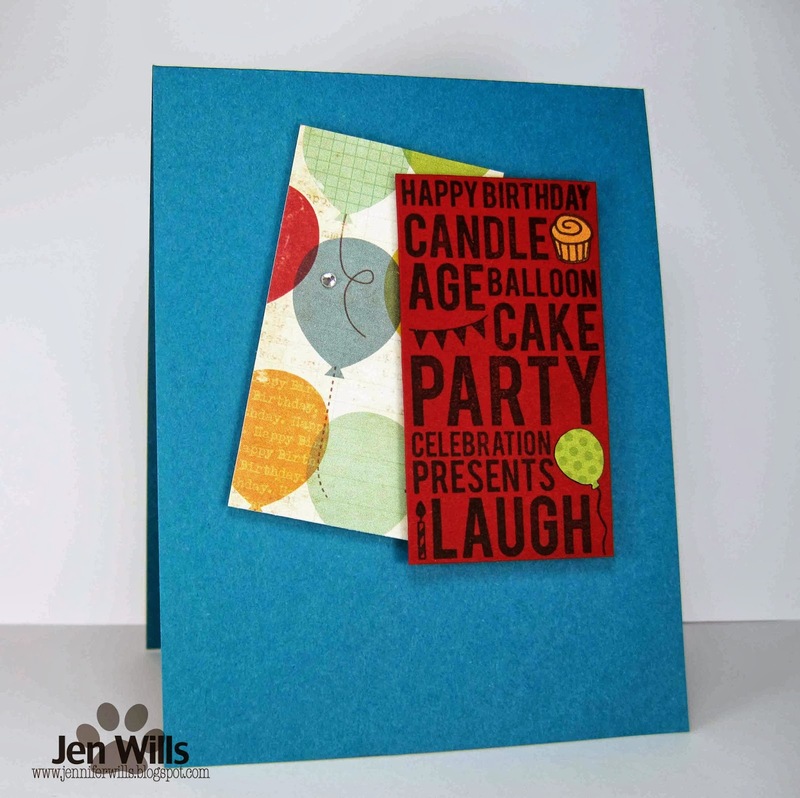 Anyhow I want to share a card I made that was inspired by Vicki's lovely card over at the Muse challenge. I tried some misting with a chevron mask and popped up the black panel and then the Skipping Stones Designs butterfly and the banner to add lots of dimension. 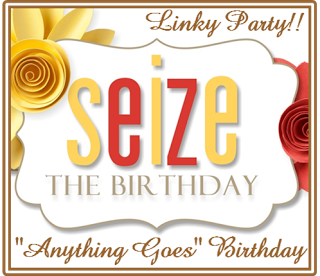 I am in need of birthday cards so I stuck with Vicki's sentiment and I'm going to play along with Seize the Birthday. Hi there! It's a wild and windy Saturday here today with sporadic showers. I did my Beat the Couch run this morning and man, was it a rough one! I felt great at the Thursday night session and pushed myself a little more than normal so I guess I was paying for that today. Blah! Hopefully Monday will be better. I'm offering up two Paper Smooches rainbow cards to combat the dreary weather and am going to play along with the Paper Smooches Sparks Anything Goes Challenge. 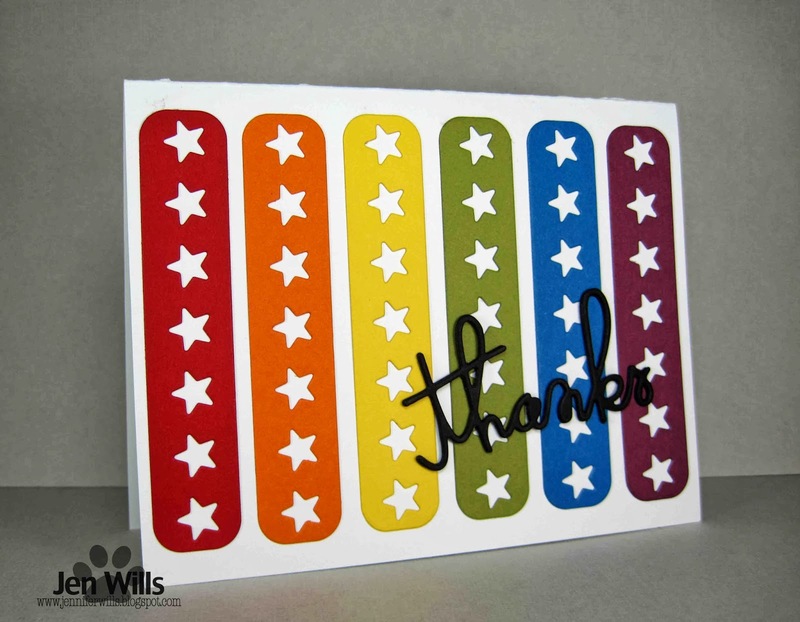 I needed a lot of colored stars for another project so I figured I'd put the rest of the die cuts to use instead of chucking them. Hope you're having a lovely weekend! I'm not sure why but this sketch gave me a hard time. I'm looking forward to seeing what you all come up with so I can have lots of, "Why didn't I think of that?" moments. 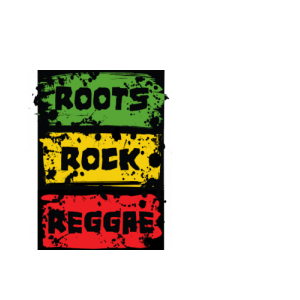 :) So check out the designs from the CTS team and then show me what you got! Hi there! 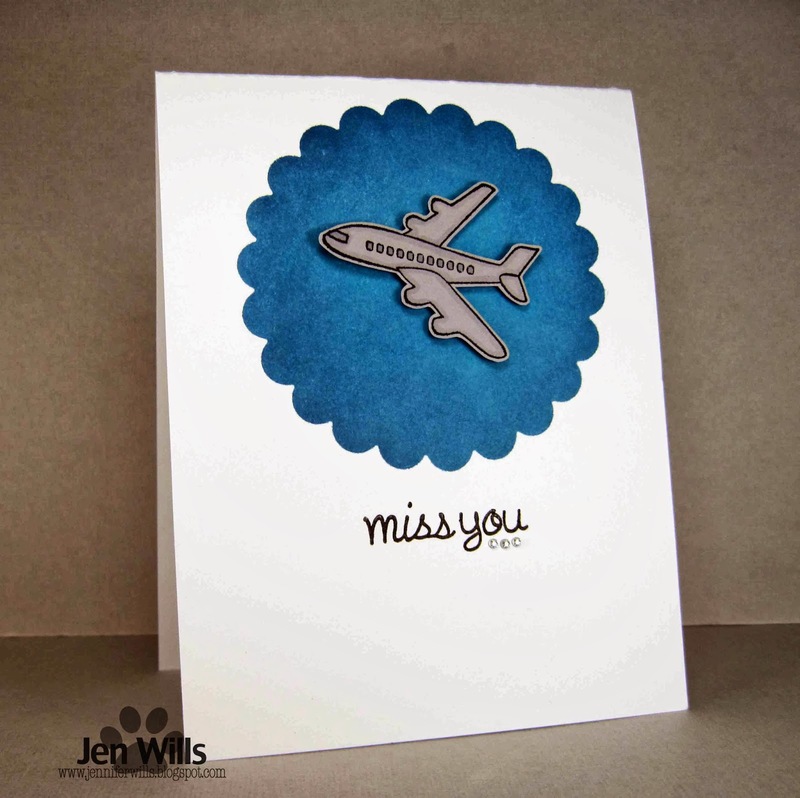 I had fun with this card last week using Distress Inks and thought I'd break them out again for a card for the Keep It Simple Things with Wings challenge. I used a Nestability die cut as a mask and managed to do this in one try without any ink seeping underneath! Whoop whoop! This Unity stamp is my favourite airplane image. I haven't used my Unity goodies in ages. I must break them out again. When I think of carnivals and fairs I think of stomach churning rides, unwinnable games and yummy food. 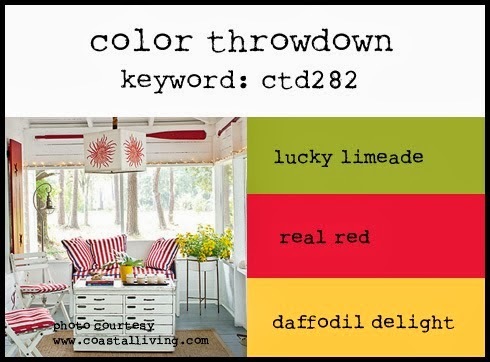 My favourite is funnel cake but I didn't have any funnel cake images kicking around. :) However, I came across some flock in the Craft Cave recently and it immediately made me think of cotton candy. I've never used flock before (NBUS!) and I'm definitely going to need a bit more practice with it because it was nice and fluffy at first but fell a little flat once the glue dried. (Any tips for the best glue or other sticky stuff to use?) Anyway it did add some texture and a bit of that wispy softness of cotton candy to the image so it was a good first attempt. And now it's your turn. 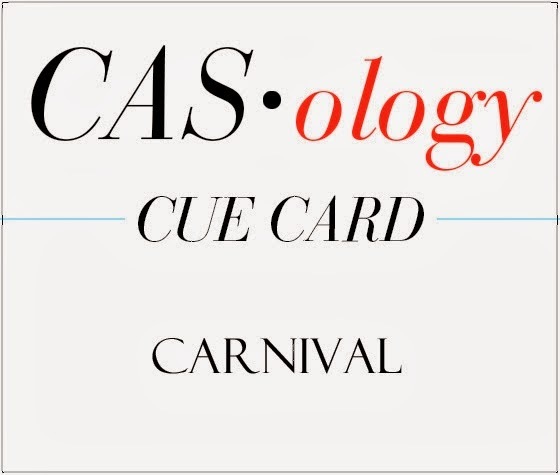 Check out the fabulous creations from the Design Team and then show us what comes to mind when you think of a carnival! 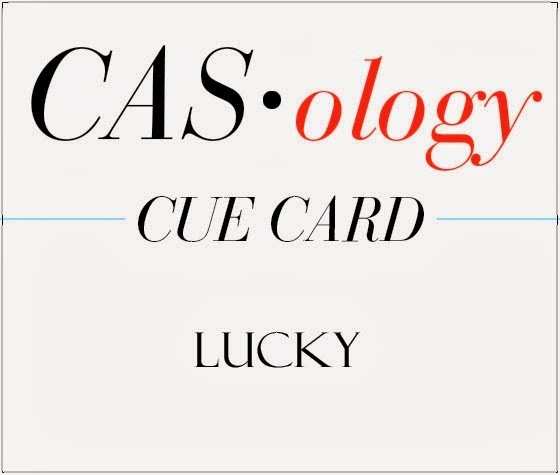 Link your creations to the CASology blog and remember that submissions are due by 4pm CST on Sunday, 9 March.